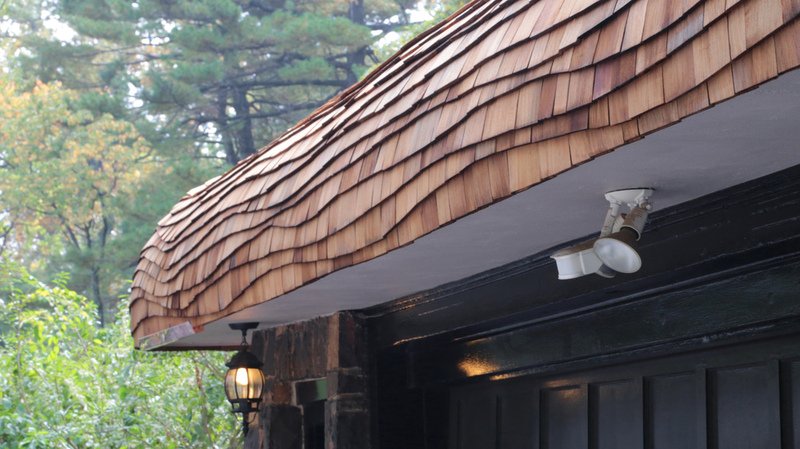 The 16” Fivex shingle is our most cost-effective Cedar shingle, and one of our most commonly used products for cottage roofing and other applications. If you’re looking for an affordable way to incorporate quality Cedar into your roofing or siding project, the versatile 16in Fivex shingle is the best place to start. Like all our products, it can be counted on for exceptional quality and long-term durability. Request a quote or more information using the form below. You can also contact our office directly by phone or email to discuss your project with one of our representatives. Fivex 16” shingles are best for use on roofs with a 3:12 or steeper pitch. 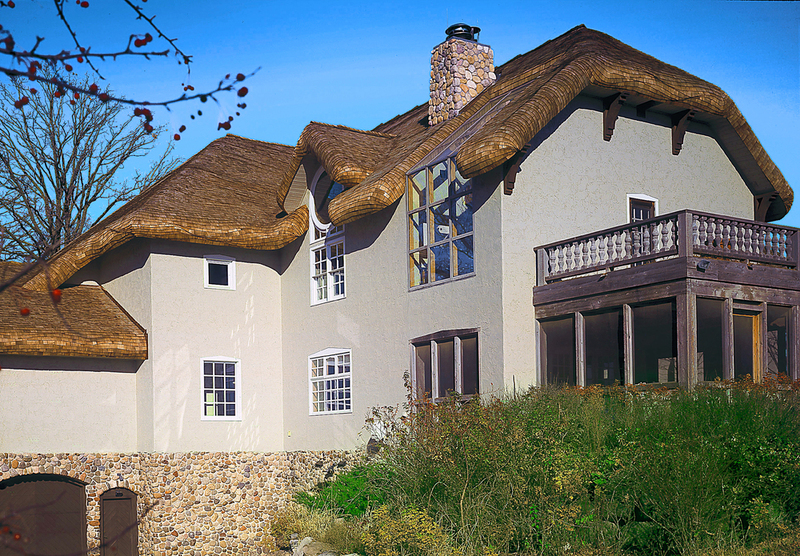 They are an essential component of our Country Cottage Roof system, and can be steamed and bent to fit curved eaves and gables, as well as other unique architectural features such as wall arches, onion roofs, bell towers and more. To add decorative flare to your project, we can cut any 16” Fivex shingle to one of our Fancy-Cutt™ profiles, such as diamond, fish scale, half-round and more. Custom design services are also available. See for yourself some of the many possibilities our 16in Fivex shingles afford by browsing our online Portfolio Gallery, or visit our blog to read about some of the many projects we’ve completed for demanding customers around the world. 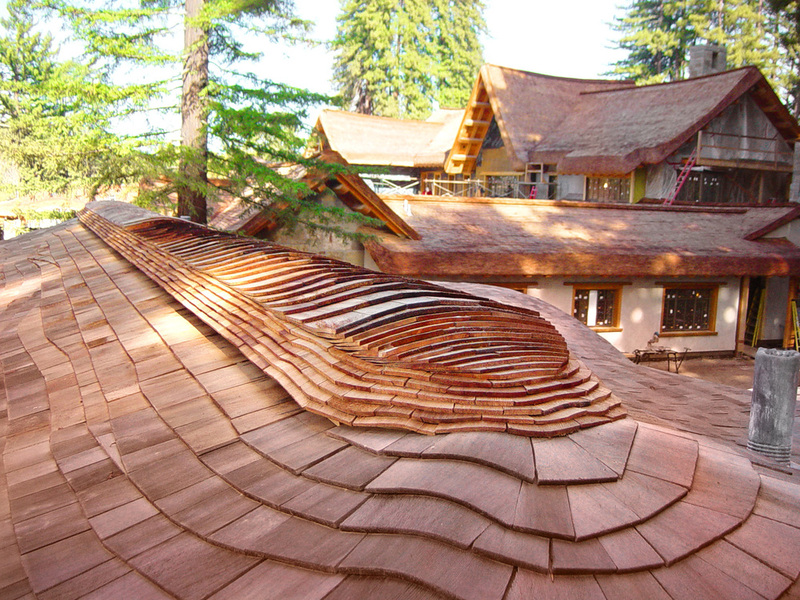 Our 16” Fivex shingle is made from solid Western Red Cedar, an abundant and sustainably managed tree that’s prized for its weight, straight grain and natural resistance to decay. It’s generally light in color, though over time it will weather to an attractive grey. 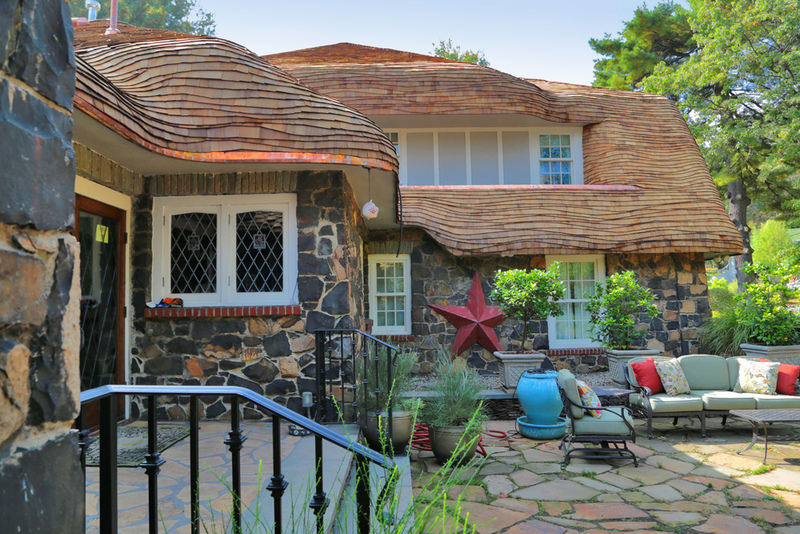 Individual shingles are 16” in length and an average of 6” wide. Bundled together, a group of five will measure 2” thick. Minute variations in thickness from shingle to shingle are to be expected, and add to the character of the finished project. 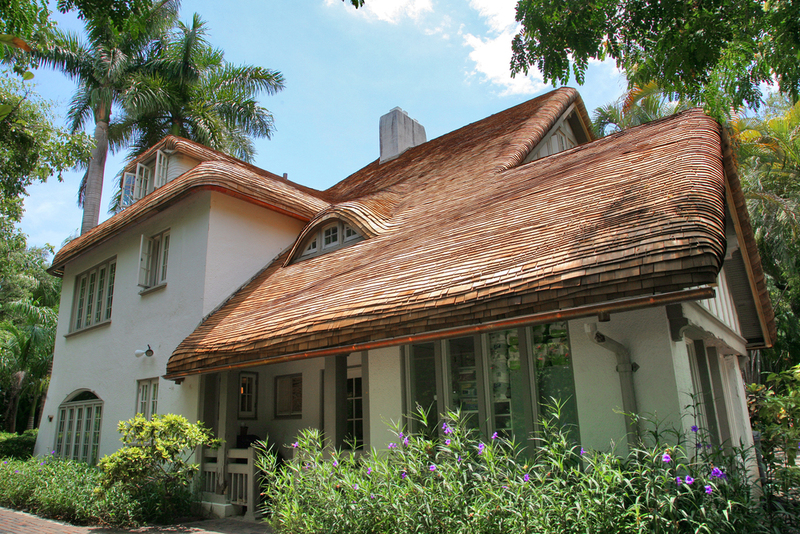 A premium quality product, our 16in Fivex shingles are made from 100% edge grain clear heartwood. We sell Certigrade® Number 1, Blue Label® shingles that are verified to be completely free from defects. By pre-staining the shingles to the color of your choice. We can even mix and match different stains for a multicolored, rococo look that’s sure to stand out from the crowd. With a chromated copper arsenate (CCA) treatment for increased resistance to fungus and decay. To keep your roof in good condition for longer, we recommend CCA treatment in any site that is humid, damp or shaded. With a Certi-Guard™ fire treatment. Certi-label™ shake and shingle roofs can be made compliant with Class A, B and C roofing systems, as well as other standards imposed by your local building code. Custom Shingles can quickly fulfill any order of 16in Fivex shingles for customers around the world. Call or email today for a free estimate.